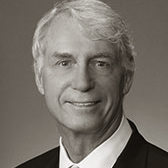 Mr. Helmer was Founder and Managing Partner of Helmer & Associates, a strategy consultancy that served major clients such as Adobe Systems, Agilent, Hewlett-Packard, John Hancock Mutual Life, Mentor Graphics, Netflix, and Raychem. Prior to Helmer & Associates he was employed at Bain & Company. He holds a Ph.D. in Economics from Yale and is a Phi Beta Kappa graduate of Williams College. 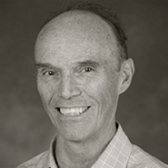 Dr. Helmer is a Chairman of the Board of American Science and Engineering (NASDAQ:ASEI) and currently teaches Business Strategy in the Economics Department of Stanford University. and and Bryant & Stratton College. He is also Director Emeritus of MedAssets (NASDAQ:MDAS). Previously Mr. Rutherford co-founded and was the former Chairman of The Parthenon Group, a 150-person boutique strategic advisory firm recently sold to Ernst and Young LLP. Prior to founding The Parthenon Group in 1991, Mr. Rutherford was a Director of Bain & Company where he worked with Dr. Helmer. He is also a former Trustee of the Boston Museum of Science.